Acupuncture treatment is rendered based on Chinese medical diagnoses, which includes assessment of pulse quality, shape and color of the tongue, medical history, and a whole body evaluation. 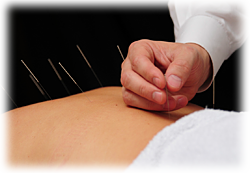 Following the Chinese diagnosis, acupuncture needles are inserted into the body at specific points along acupuncture meridians, or pathways, which stimulates the body’s healing energy or Qi. Chinese medicine and acupuncture work to treat the whole patient and the root of a problem rather than using medication to mask a symptom and let the problem persist. “It is not the brush that paints a beautiful painting but the hand that wields it. 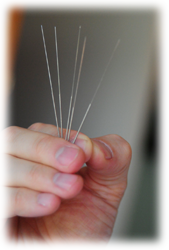 Like acupuncturists in China, Filipp Gadar uses the traditional free-hand technique to insert needles (versus using a plastic guide tube) which takes a high level of skill and allows for more precise insertion. Patients regularly report more effective outcomes from this traditional technique, as it allows Filipp to be in direct contact with the Qi of the patient and sense the body’s response to the needle, which is a key factor in performing a successful treatment.